BeautyTherapistsOnline welcomes established salon ‘Beauty at 71 Main St Bothwell’, where owner and therapist Lorna and her team offer a friendly, professional service with a touch of luxury for her discerning clientele. The salon is centrally located offering private beauty rooms, nail bar and comfortable seating area to relax in between treatments. You will find an extensive list of the most up to date beautiful skincare treatments, luxury skin perfecting anti-oxidant and anti-ageing facials alongside beauty & electrical therapies, nail care and make up. To book call in or Telephone on the above number. 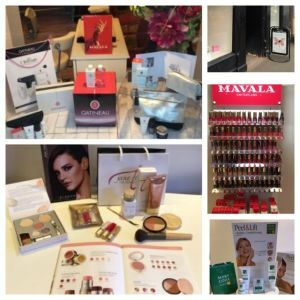 British skincare Katherine Daniels, Gatineau, Swiss Mavala nail system to Jane Iredale make up. Holistic and massage, aromatherapy, Reiki & Reflexology, including massage for pregnancy. Read more about the beautiful Katherine Daniels skincare read more here . Bio Sculpture gels, Mavala Switzerland, Young nails. Latest & hottest range of polishes and colours available, luxury manicures & pedicures, nail extensions, acrylics, party nails, gems gels, and glitters. Jane Iredale make up and shop. make overs, make up artistry for weddings, proms and special occasions. Call for your Free consultation or to discuss your requirements.